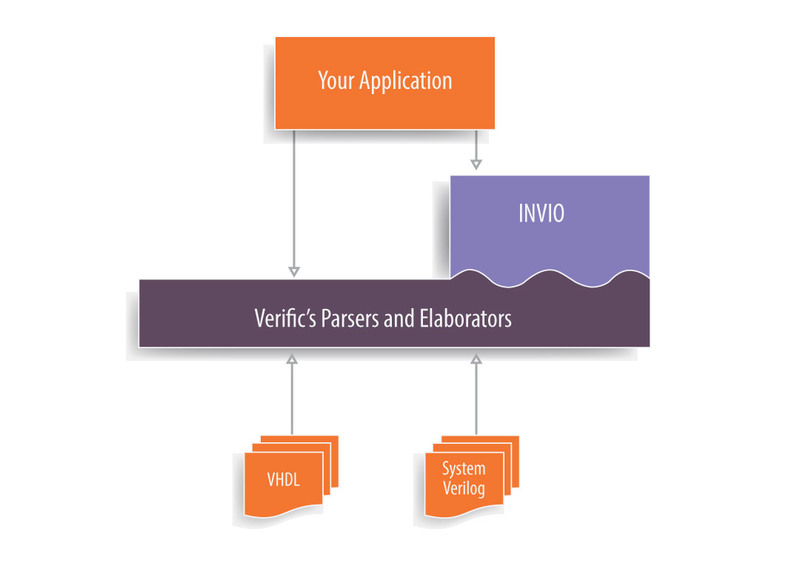 The INVIO platform is meant for CAD, design, and verification engineers. INVIO is an easy to learn C++ or Python API built on top of Verific’s SystemVerilog and VHDL platform. It also provides a custom GUI builder, an application packager, and a suite of application specific plug-in modules for RTL modification, functional verification, netlist modification, and SoC assembly. Borrowing from the mobile application development model, the INVIO platform has been designed to do all the heavy lifting to create robust, high-performance EDA tool flows very quickly. Try our Free 30-day Evaluation Package, our downloads page or just contact us.